Yesterday was a good day. Things happened, issues worked out, and the feeling in the air was happy. It wasn’t a prime rib or porterhouse day, more like a Salisbury steak day, which in the long run is satisfying and comforting. Like a meat hug. 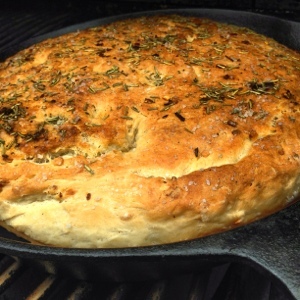 So hitting the #BGE with my more than massive cast iron pan I thought why not switch it up a little bit. 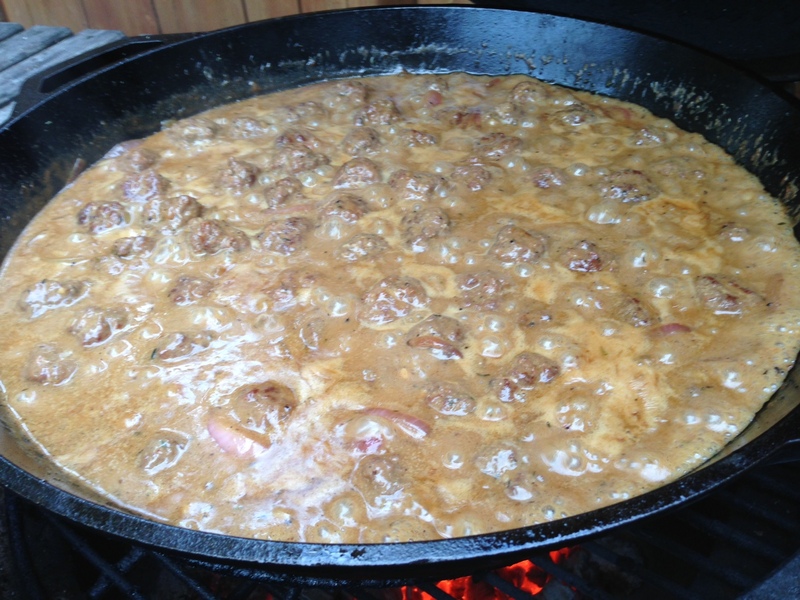 Salisbury meatballs in a onion sauce. Then the thought of what to serve them with? We’ve all had baked potatoes with the works on top. You know chili, bacon and cheddar, broccoli and cheese, whatever. So my meatballs sat on a twice stuffed cheddar potato with the onion gravy ladled on top. Ok decadent, maybe a little excessive, but my doctor is on holidays, and cholesterol level is surprisingly normal, so why not. Veal, medium ground and a de-cased pork sausage for a meat medley. Dehydrated onions, worcestershire, a little soya sauce, garlic and pepper with some bread crumbs to make my balls. I sautéed them in the cast iron over coal till they were browned and removed from the heat. The onion went in to clear added garlic beef stock with a slurry of corn starch to thicken the sauce. 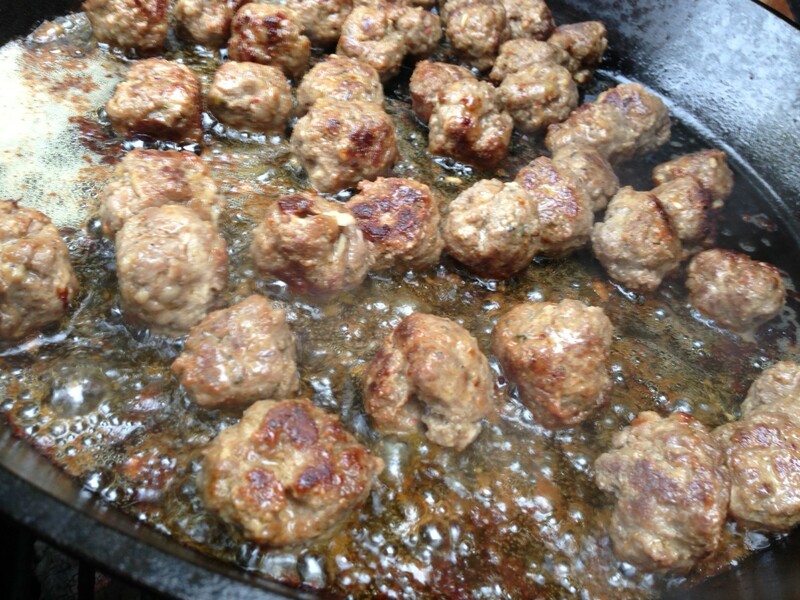 Then back in with the meatballs to finish cooking. The potatoes were baked, scooped and mixed with cheddar and cream till and blended till smooth. Then back in the skins. Balls on top and sauce over everything! 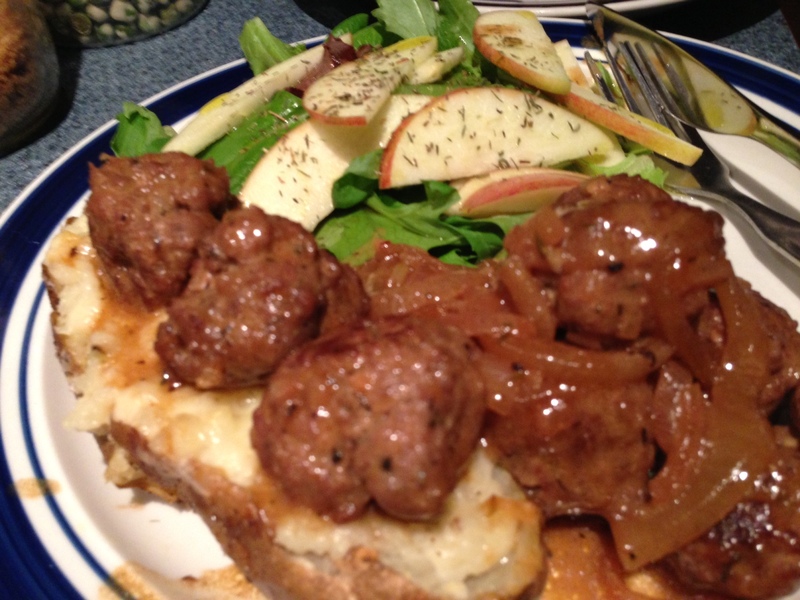 Salisbury meatballs! A different take on an old standard. So Butterflied Chicken! This method is wonderfully tasty and keeps the chicken moist with another dimension added. After cutting out the backbone, flatten the chicken and pull, but don’t break, the skin from the flesh. Mix together ricotta cheese with sage, basil, thyme, oregano, garlic, onion, and salt and pepper. You want enough ricotta to cover the chicken and enough herbs and garlic to satisfy your taste buds. Loosen up this mixture with a little olive oil and pack it under the skin of the chicken. Massage the whole bird with olive oil, garlic powder and salt and pepper. Place the bird offset over your preferred outdoor appliance with a drip tray underneath (water filled), to catch the drippings. I used the #BGE with the extension grill and the water filled drip pan underneath. The ricotta (#trestelle) kept the chicken moist and added a surprise under the skin that seasoned the chicken. 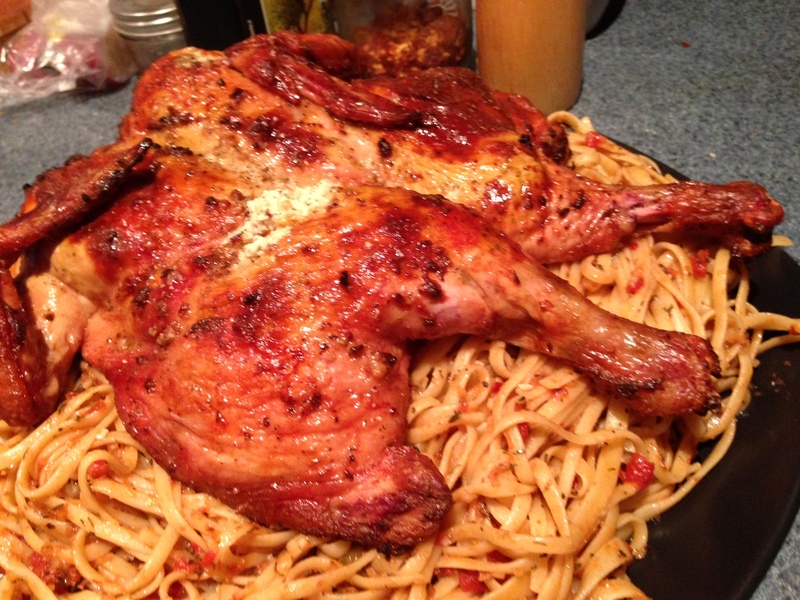 The bird was served on Roasted Tomato Linguini. Tasty! So as an effectual stratagem to develop an enticing aftermath, the spatchcock technique is a convention that I would advocate! In other words, try it, it works! Isn’t that easier! Cheese is wonderful! Cheese is glorious! Cheese is my favourite food! Every kinds, every texture, the stinkier the better! Here is what I came up with last night, Roasted Squash rigatoni using #TreStelle mascarpone and Grana Padano with pancetta and kale. The Butternut squash was roasted over coals with garlic and rubbed with olive oil and seasoned with salt and pepper. 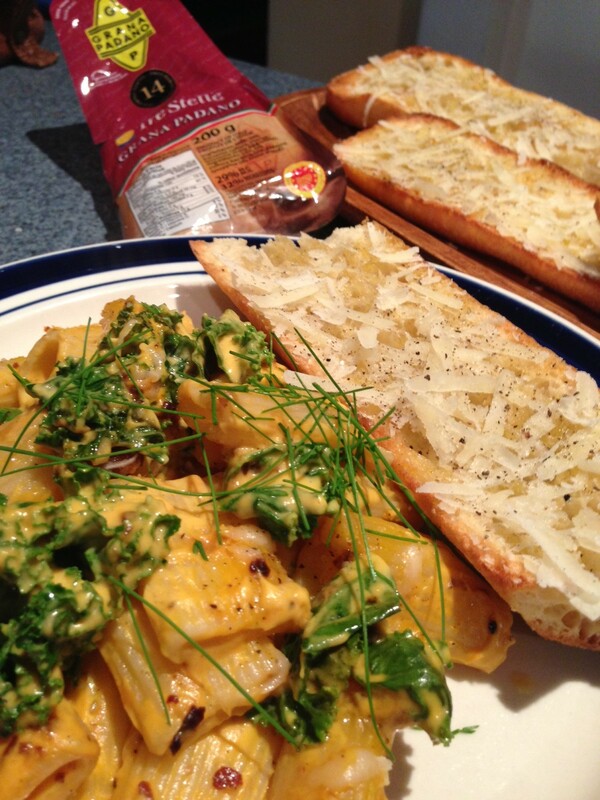 The warm, soft squash was blended with the garlic, mascarpone, Grana Padano, and cream. I wilted the kale by adding it to the freshly boiled pasta. Once tossed with the rigatoni, the pan fried pancetta was mixed in with the luxurious sauce and baked for 20 minutes. Did I say I love cheese! This mixture with the pasta is sweet, sticky, and so tasty that your kids won’t know they’re eating squash and kale. Cheese and squash! Happy, Happy, Happy! Great weather, great weekend, and as Phil Robertson says, Happy, Happy, Happy! Life has a way of just happening. No warnings, you just wake up and stuff is there to deal with. You can plan your best to make sure the bumps and the pitfalls are minimum, but in the long run, stuff happens. Keeping a positive outlook is hard sometimes, but the flip is a negative one and going down that road is a soul sucking defeatist route that brings you to your knees. Accomplishing even the smallest goals becomes overwhelming! Stay positive! Stay on your path! Don’t let the naysayers take control of your thoughts. Do what you know is right and stay away from the “realistic people”. Everyone has heard the comment” I’m just being realistic,” and then someone lists off all their realistic points. Pay attention to their comments and see how many of them are negative. Most realistic people are actually just negative thinkers. Being realistic means looking at both sides positive and negative and dealing with them as elegantly and effectively as you can. This weekend the food was fun. Having experienced the deliciousness of rotisserie chicken on the gas grill, we decided that to try a cousin of Mr. Chicken and introduced Mr. Duck to the Napoleon. Simply rubbed with ground coriander, salt and pepper and stuffed with lemons. I had duck bones in my freezer, (doesn’t everyone) so Mr. 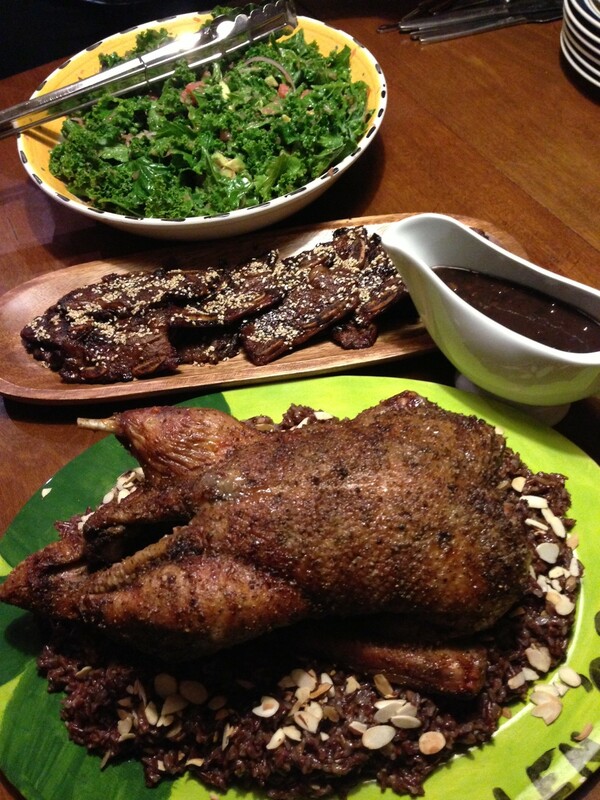 Duck had a Pinot Noir and duck stock reduction to complete him. Red rice made an introduction too. Prepared in the duck stock instead of water and finished with toasted almonds and grated apple. Since the trolls had friends over and we needed to stretch the quantity, over the charcoal short ribs in a honey/soya/sesame blend hit the Weber. Vicky created a wonderful Kale and Grapefruit salad to complete the meal. Weekend good! Week to come will be good, after all it’s not what your dealt, it how you deal with it. Food is more than fuel. Food is more than filler so our stomachs don’t growl. There’s something to be said for a salubrious lifestyle but life is to be enjoyed and celebrated and so should be food. I’m not talking about gluttony or extreme and expensive meals or exorbitant preparation. I’m talking about creativity and love. Food as love? Yes, food as an expression of love. We all have memories of our mother making a grilled cheese and tomato soup for lunch, and the recollection of having the same meal at a friend’s house and it not tasting quite the same even though the ingredients were identical. The difference was the love that was attached. They didn’t have to be gourmet meals, simple and plain but coming from a cherishing hand. My mother was not an accomplished cook; her meals were mostly meat centric and built around my father’s tastes. Scottish cooking, meat served well done with simple accompaniments but created with devotion. I remember them fondly and they contributed to my exploration of other culinary worlds. I feel sorry for mundane palate. There is so much to explore and experience in the world, why stay the course with the familiar. Food is like music. Different tunes, different styles, different composers make it an ever evolving affair to be experienced. 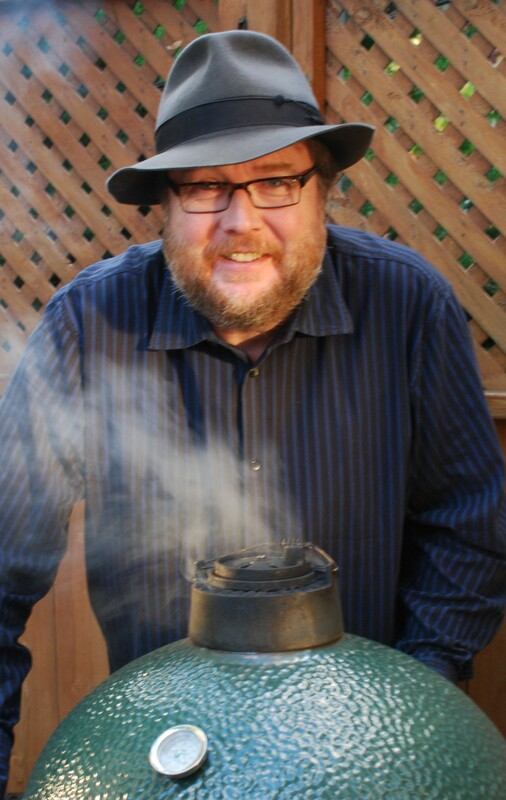 In my life, the BBQ is not a mechanism for heating up burgers or grilling a steak. 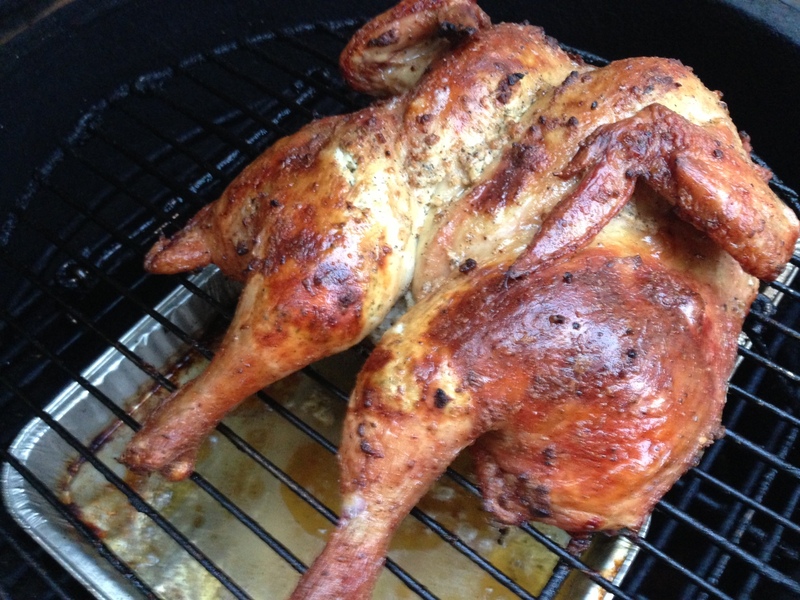 It’s an oven, a smoker, a wood burning tool to bestow additional flavor to add another element to a meal. Enjoy food, enjoy life, be well and eat well! Made fresh! Really fresh with no paper wrapped around it! So fast food done at home? Easy! When you bow to the advertising of Fresh tastes best, so why drive, waste gas and money? Do it yourself! 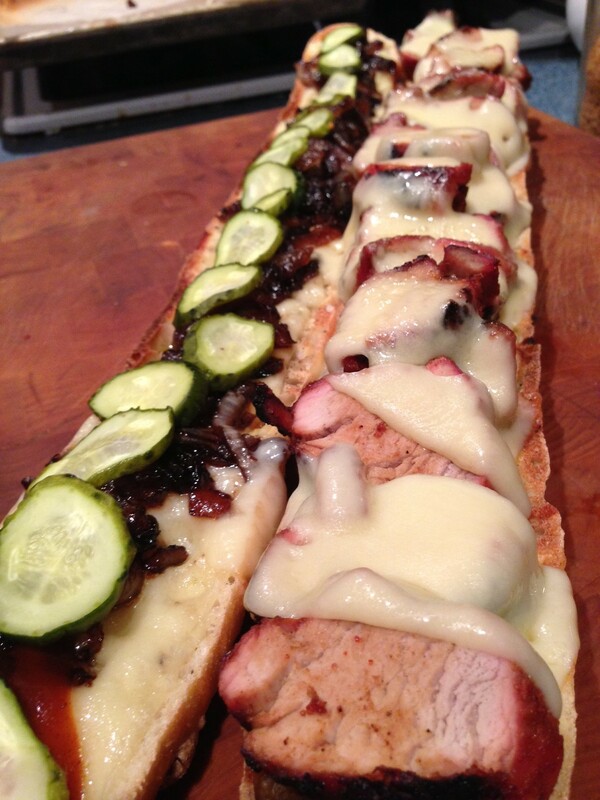 Last night was a pork tenderloin sub or hoagie if you will. Starting by making a rub of garlic, onion and brown sugar, the pork was grilled over coals, sliced and served on a French stick. Onions browned in balsamic and brown sugar and topped with homemade pickles and Swiss cheese. The trolls went wild. 20 minutes! Less time than getting in the car to pick up fast food and still warm, soft and juicy. 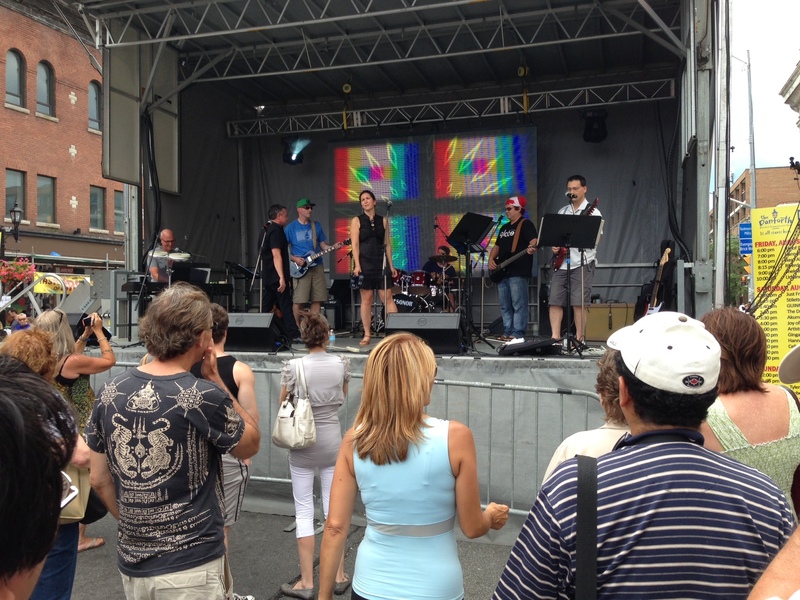 So what is The Taste of the Danforth (#tasteofthedanforth ) about? Food? Music? Fun? All of the above but in my mind it’s about community. That’s one of the best parts of living in Toronto. We are a honeycomb of different ethnicities and truly a melting pot of the world at large. But somehow we manage a blend of new culture while retaining our unique cultural heritage. 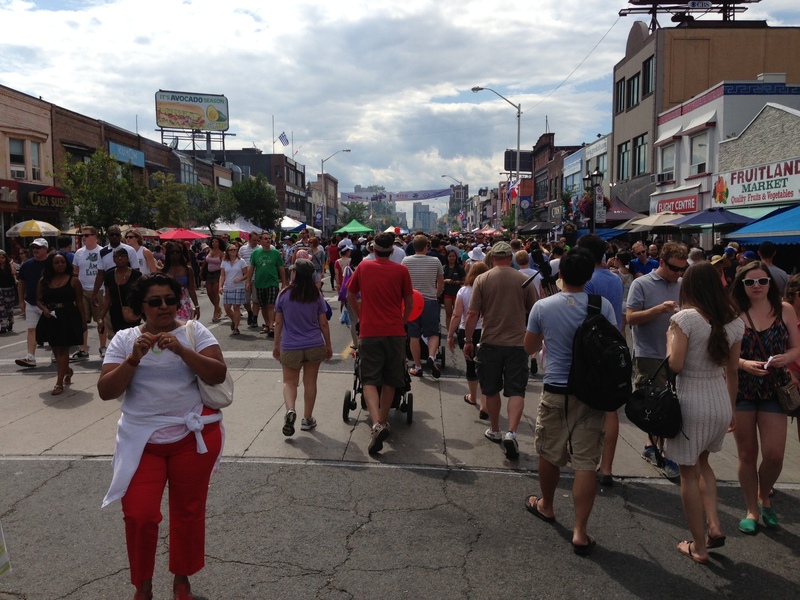 This past weekend Taste of the Danforth celebrated its 20th year of sharing the love and culture with not only Toronto, but the world. Its first year brought approximately 5000 people together, this year in excess of 1 million people graced the streets, shared the food, and danced with the exuberance of Zorba himself. 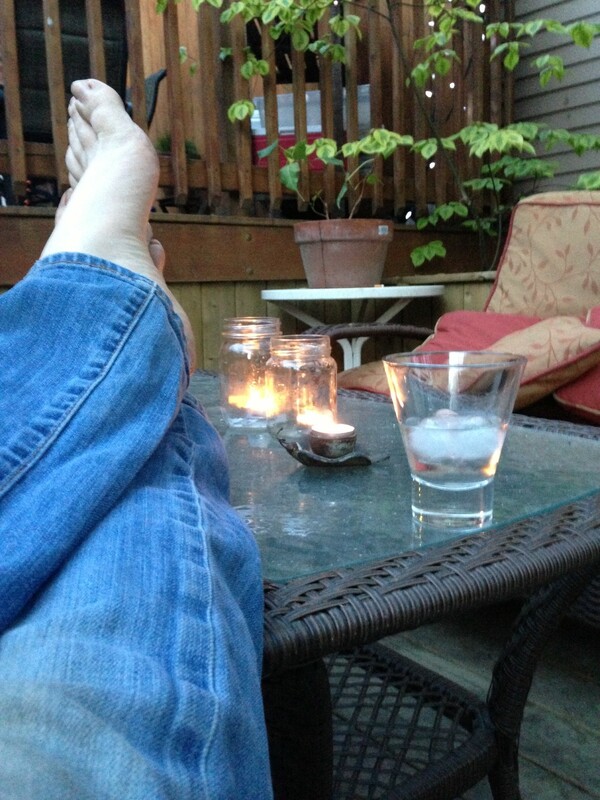 No drama, no incidents (well there was Rob Ford), just fun, love and sharing. 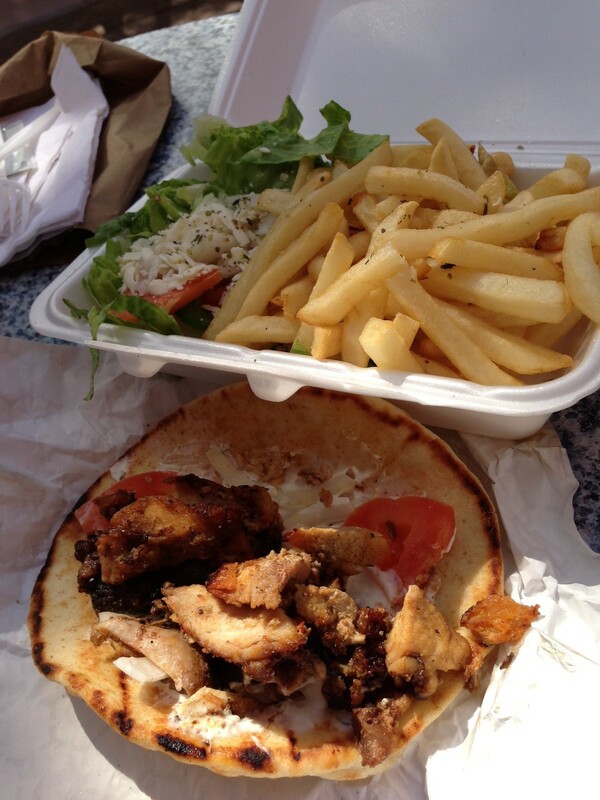 My highlights included an amazing gyro from Alexandros, Loukomades, and a cold beer at Dora Keogh. Watching impromptu dances and face painted children rounded up the day. There was also a Vulcan sighting! 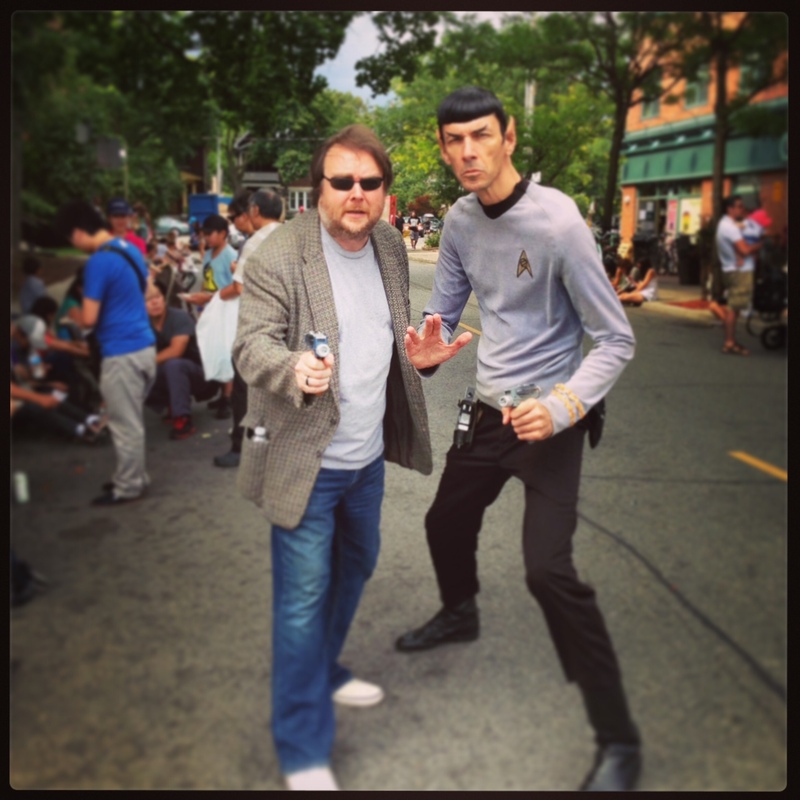 Thankfully I had my phaser with me. Applauds and kudos to the organizers. Can’t wait till next year. A little Band from the band. Lunch please and thank you! Saving the universe one festival at a time! 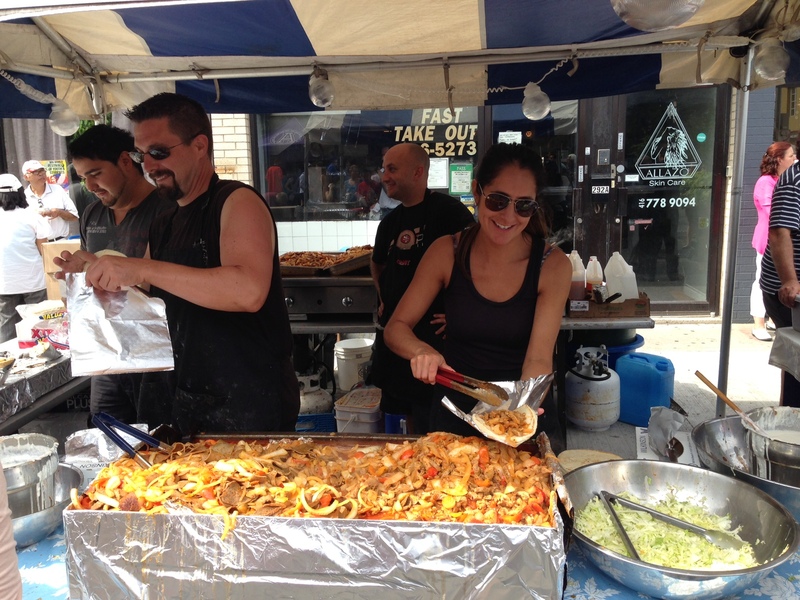 Pilaros Taste of the Danforth Kicks Off Its 20th Year! What are you doing this weekend! 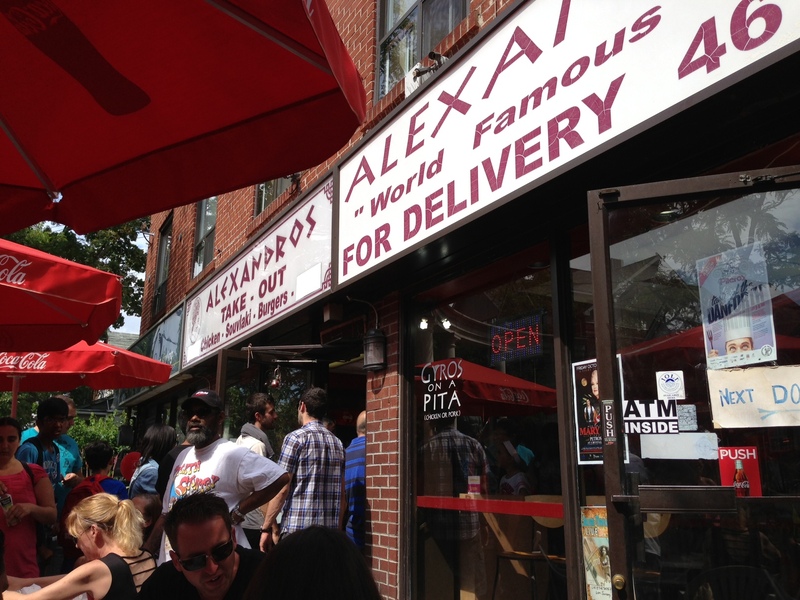 Feel like some good food, a walk through a great community. What about the chance to participate in a Guinness World record! 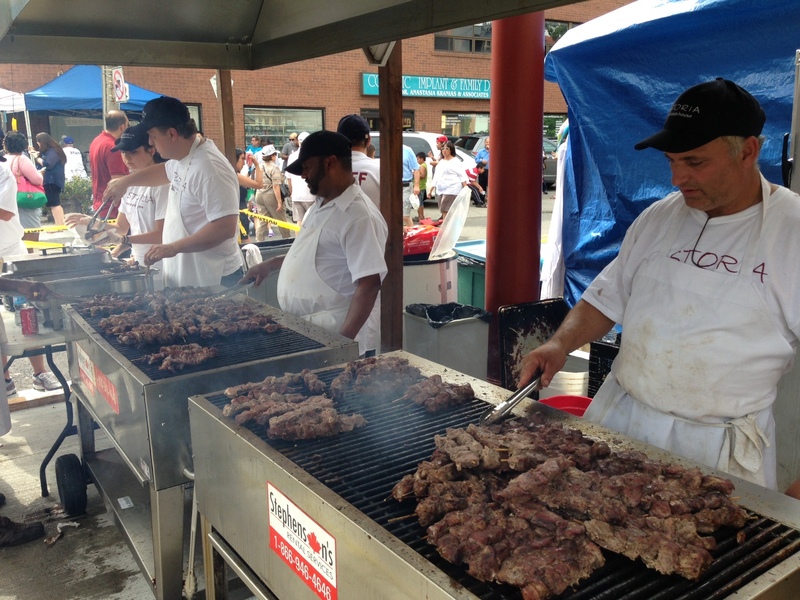 Taste of the Danforth showcases Toronto’s Hellenic cuisine and culture. 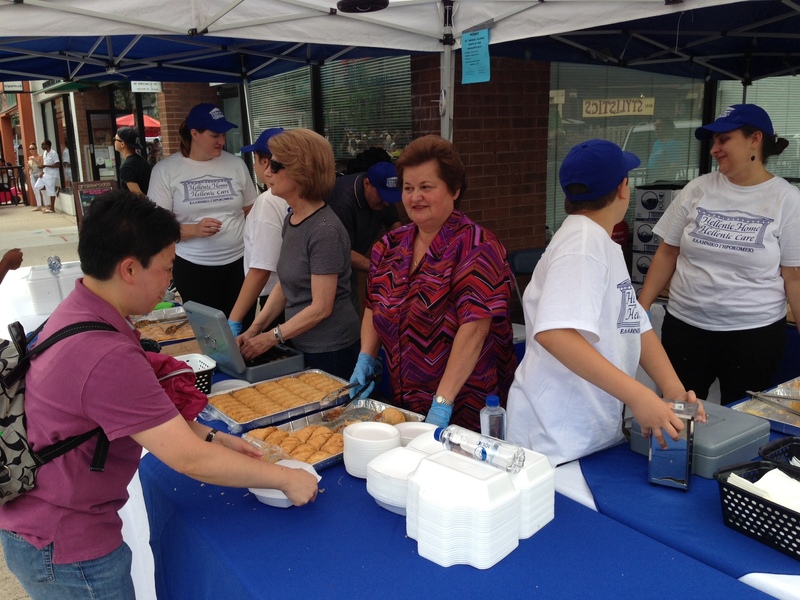 Walking the street you can experience different foods and feel the love of the community. 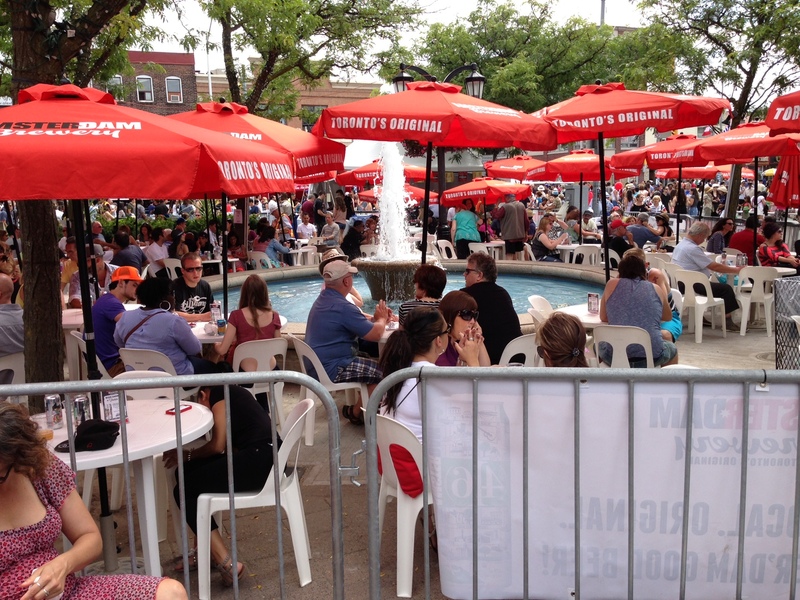 20 years ago the first Taste of the Danforth, #tasteofthe danforth, took place with 5,000 attendees. It has growth over the years has expanded to 1.3 million visitors over the 3 days and 2 nights. People come to enjoy the food, the culture and the music. It has evolved to become one of Canada’s premier community events. This year there are two Guinness challenges. The Worlds Largest Zorba the Greek Dance on August 10th at 1:30 that you can participate in (lessons on line at http://ow.ly/nFa0K ), and The World’s Largest Yogurt Bowl on August 11th at 12. Make sure you check this out on one if not all three days.